Guarantee. Low Cost. Flat Fee. We are a Las Vegas divorce attorney firm offering attorney representation at paralegal prices. Our Las Vegas attorney fees for a two signature divorce (joint petition) start at $399, and an uncontested one-signature divorce is $750. 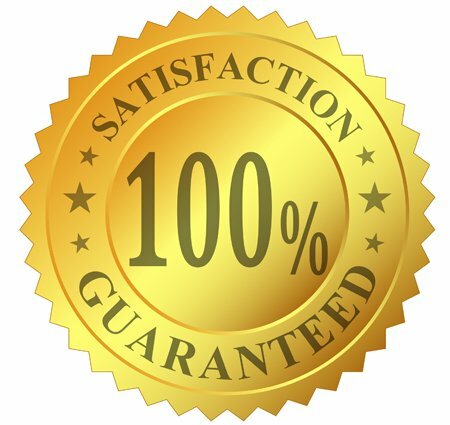 All you do is provide us with the information we need to create your Las Vegas divorce documents and you sign them in front of our notary. We do the rest. 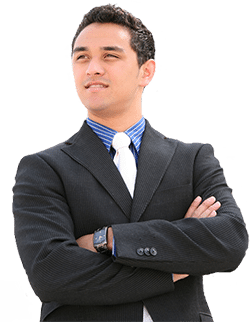 The attorney fully represents you at court so that you never have to deal with Family Court (Las Vegas divorce court) yourself. 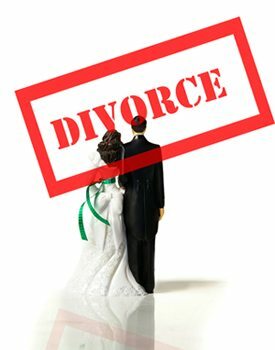 Please go to our Nevada Divorce home page for more information for all types of divorces in Nevada. clients like you regain their freedom! The staff at Nevada Divorce.org is very knowledgeable and was very helpful in guiding me through the divorce process. I was very impressed with the quick responses to my questions and the speed in which my divorce was finalized. Hopefully, I will not need this service again, but if I do I would use this attorney. Just Sign and Leave the Rest to Us! How to establish residency for the purposes of filing a Las Vegas divorce. How Do I File a Joint Petition Divorce in Las Vegas? When both parties agree to sign the divorce documents, the best way to file is in the form of a Joint Petition for Divorce (NRS 125.182). Both parties must agree to all terms of the divorce, including child custody, child support, visitation, and property division (if applicable), and both parties must agree to sign the divorce documents. A joint petition divorce is by far the easiest, fastest, and least acrimonious way to divorce. If the parties don’t agree on all the issues, they could consider a collaborative divorce (a.k.a. mediated divorce). This avoids a court battle and save lots of money, not to mention angst. Husband and Wife are both required to sign the divorce documents in front of a notary (notary services are included with our attorney services). The party who is the Nevada resident (at least one of the parties to the divorce must be a resident) must sign the divorce documents in front of a Nevada notary. The other party may sign in front of a notary anywhere else in the world. We email the ready-to-sign divorce documents with a properly notarized sample and an instruction sheet for the notary. If one of the parties lives outside the U.S., the best place to sign the documents is typically a U.S. consulate, especially if the business language in the country of residence is other than English. U.S. consulates notarize legal documents that are to be filed in a U.S. court, whether or not the party getting notarized is a U.S. citizen. 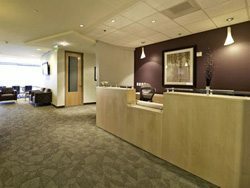 From the time we hold your signed and notarized documents in our hands, meaning the joint petition for divorce and the decree of divorce, as well as the affidavit of resident witness, it takes about one to two weeks to finalize a divorce in Las Vegas, worst case scenario, up to three weeks if the court is extra busy or your judge is very busy. The average is 3 -14 days. If your spouse does not agree to sign the divorce documents, see below for information on filing a (Complaint for Divorce). When filing a one-signature divorce in Las Vegas, one party acts as Plaintiff (this would be you if you are filing), and serves the other party (your spouse) who becomes the Defendant. If the Defendant does nothing after being served with the Complaint for Divorce, the divorce continues as an uncontested divorce matter. A Default is submitted to the court on Day 22 after the Defendant was served personally with the divorce papers (through a process server) or after the last date of the publication of the Summons, if the Defendant could not be personally served. Once the Default is granted, the Decree of Divorce is submitted for the judge’s signature. Once the judge has reviewed all the filings and the court clerk has determined that process service was properly conducted, the judge signs the Decree of Divorce, the clerk files it or sends it to our office to e-file. Your divorce is considered final after the final decree of divorce has been filed by the court clerk, not when the judge has signed the decree. If your Las Vegas divorce proceeds as above, it has remained uncontested. If the process server is unable to serve your spouse with the Complaint for Divorce and Summons, the summons must be published in a newspaper, once a week for five weeks. We handle the publication for you. Have you Considered a Collaborative Divorce instead of a Contested Divorce? Have you been in a long-term marriage, and, or, have a lot of assets to divide? Do you wonder what property belongs to whom when you divorce in Nevada, a community property state? Do you wonder who debt should be divided between and your spouse? Would you feel better knowing what is appropriate, proper and customary regarding child physical custody, visitation, and child support issues before you file your divorce? If you have wondered about any of the above issues, you might consider divorce mediation before filing your uncontested divorce in Las Vegas. A collaborative divorce is one of the best ways to dissolve a long-term marriage, leaving both parties feeling like they have not left anything on the table, so to speak. It greatly simplifies your decision-making and reassures you that you are making the right decisions when filing your divorce. *Court Costs (currently $328 for Joint Petition, and $364 for a Complaint) and cost of process service and publication (when the other party won’t sign or cannot be found) is additional: process service in the U.S. average cost is $160; publication average $150. Out of country service costs vary by country and are individual to each case. **Refund. Should your divorce case be denied by the court, you will have the option to request a refund of the payment you made for our services. We will give a courtesy refund based on non-performance on our part. Court filing fees, court costs, process server fees, publication fees, translator fees and any other provider fees are never refundable. See Privacy Policies/Terms for full details.